So happy to visit the annual Ramadan bazaar at Geylang Serai on Tuesday evening. I alighted at Joo Chiat Complex bus stop and walked towards the bazaar. Missed the Hari Raya Light up ceremony but like the beautiful festive lights this year. Hari Raya bazaar at Geylang Serai was officially launched by PM Lee Hsien Loong on 4th June. This is the time of the year for my feast of Ramly burgers, vadai and ayam percik. But wait.... I couldn't believe my eyes! 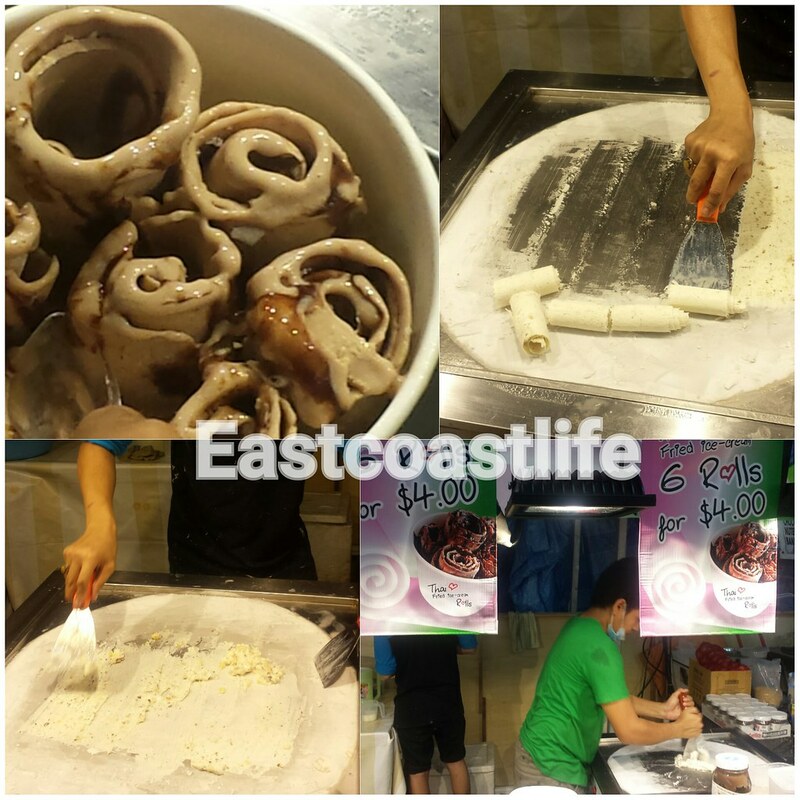 I noticed a long queue at this Thai fried ice cream rolls stall. I watched the stall owner fried a few ice creams before moving on. 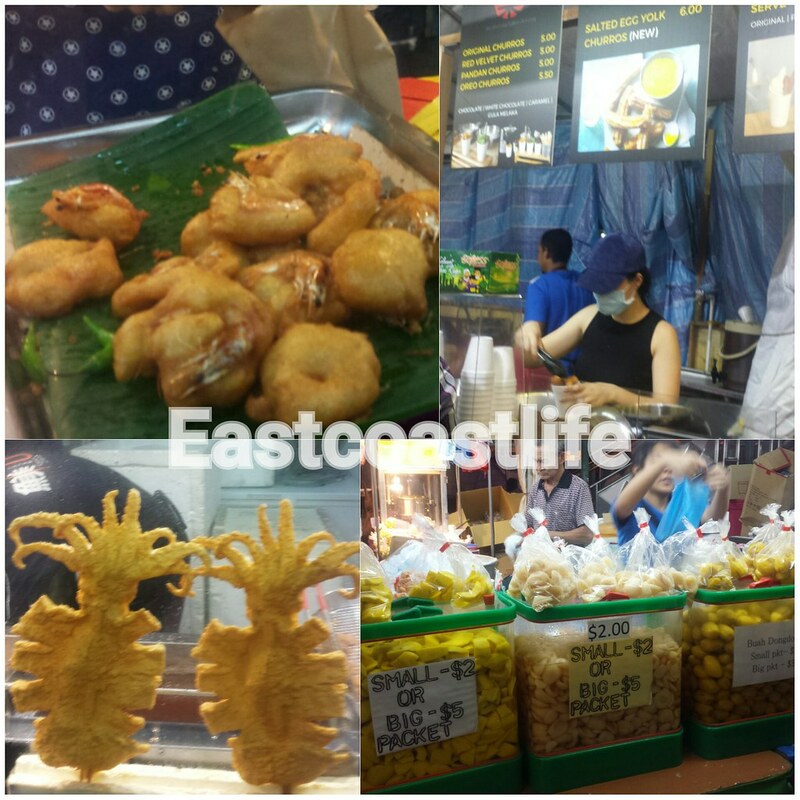 Further down, more queues at a Churros stall, a Thai iced tea stall, a Thai coconut ice cream stalls, a fried Oreo biscuit stall and a stall selling rainbow bagels! Whoa! So cool! These new generation stall vendors are so hip and creative! 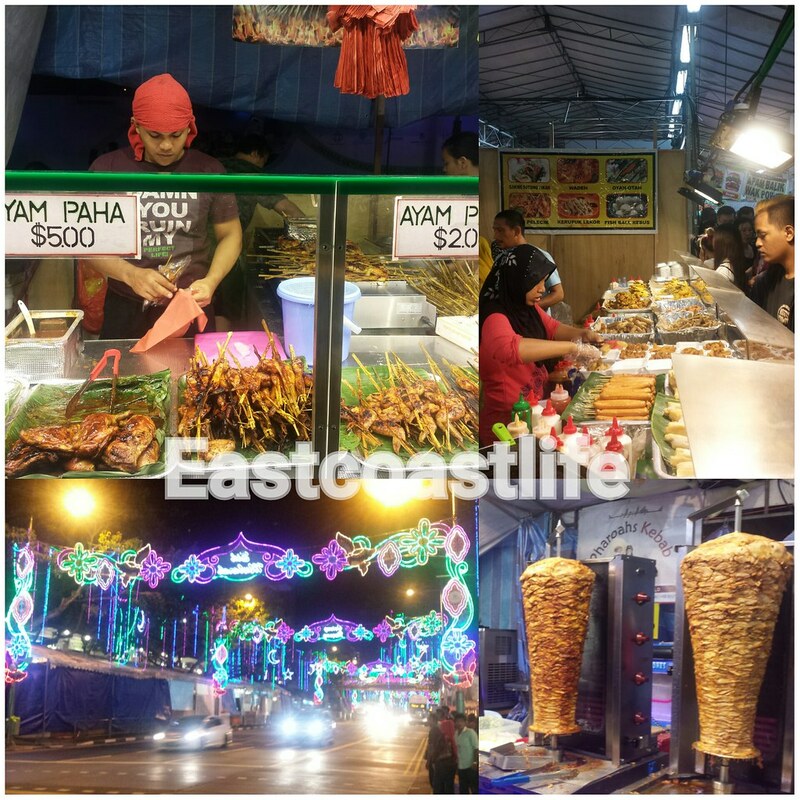 They just took the annual Ramadan bazaar at Geylang Serai up one level! Instead of the usual Ramadan treats, I now have more choices of delicious eats. The crowds were bizarrely large! I had to pushed my way through them and whenever I stopped to snap pictures, I got pushed forward. ish. 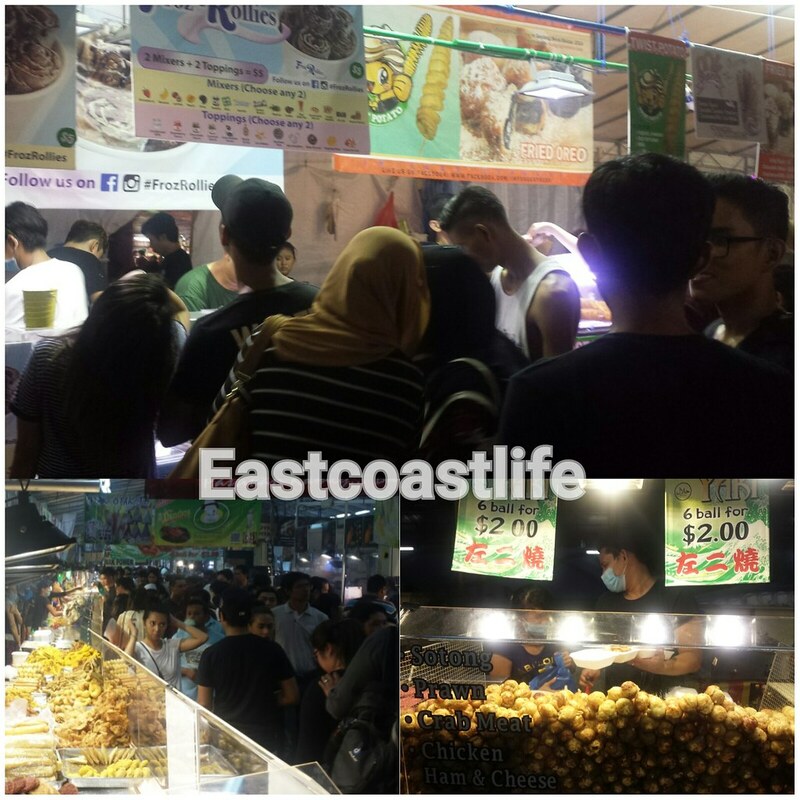 It was no easy feat to buy any of the popular eats, due to the long queues. I abandoned the thoughts of buying these latest offerings. I had arranged to meet my hubby for dinner at 9 o'clock at a mall, but it looked like I would be late trying to get through these crowds. Meet up with my anxious hubby at 9.35 pm before going for the popular fried chicken dinner at City Plaza. Bazaar ends on 6th July.